The duo of Akshay Kumar and Paresh Rawal became famous with Priyadarshan’s Hera Pheri. After that they have been together in many hit movies like Bhagam Bhag, Hera Pheri 2, Bhool Bhulaiya and many more. They now come together for the comedy Oh My God, which is directed by first timer Umesh Shukla. Based on Umesh Shukla’s Gujrati play Kanji Viruddh, the Oh My God is about unconventional happenings in normal day to day lives. Akshay Kumar plays the modern day Lord Krishna in this film. While Paresh Rawal plays the role of a common man, Kanji Bhai. The trailer has voice over been given by Salman Khan and is quite interesting. Oh My God, hits cinemas on 28th September. Catch the theatrical trailer of Oh My God, right here. and tell us how you found it. 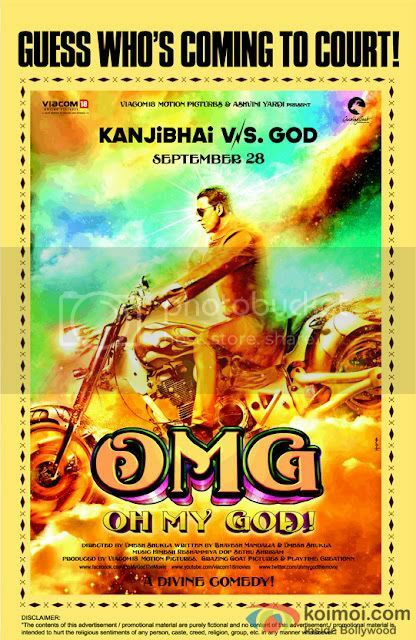 Share Video : Akshay Kumar’s Oh My God Theatrical Trailer with your friends on Facebook.